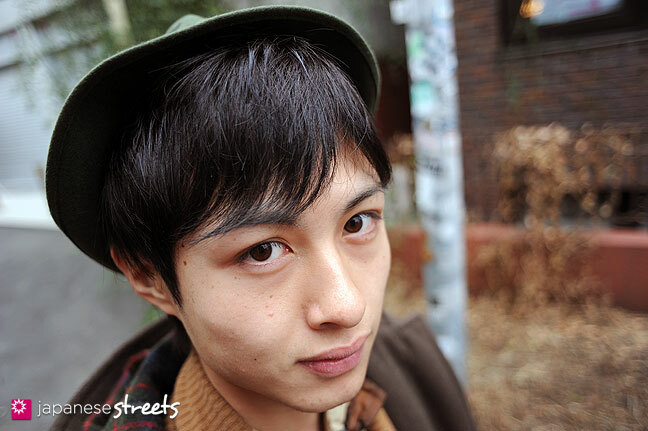 @Maria: When I shoot on the street for JS, I often notice the hairstyle before I see anything else. reminds me of somewhere between charlie chaplin and sherlock holmes. Looks good on him. Interesting. 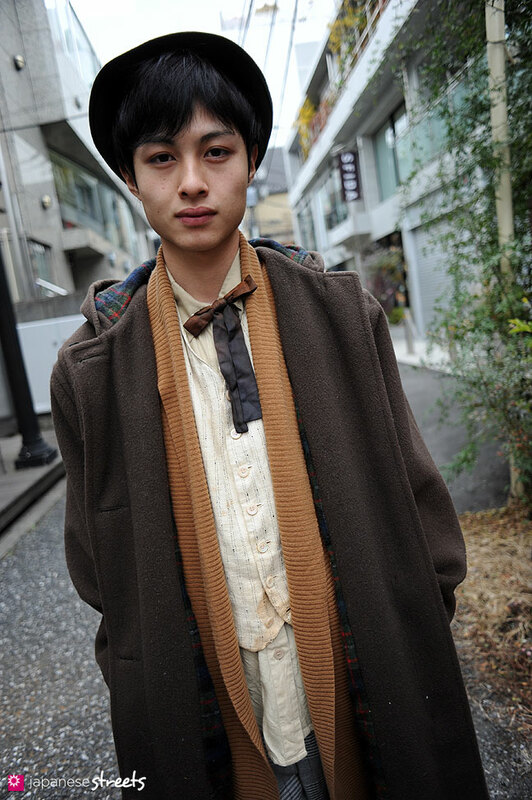 Two comments now reference Tatsuya’s look to Charlie Chaplin. 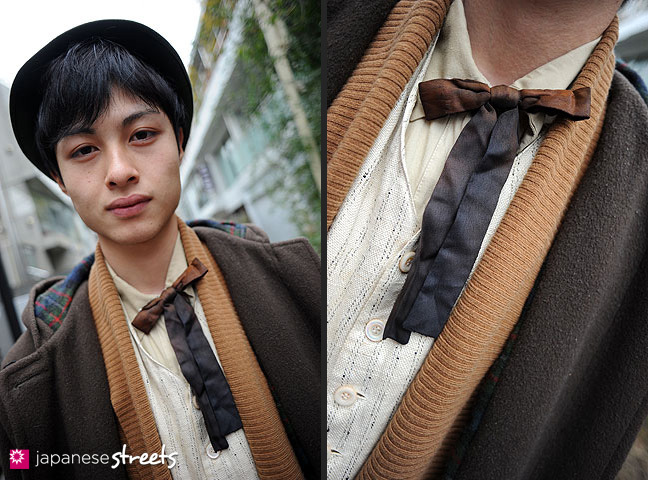 His style is great, I love the faded ribbon. @Kjeld-Its amazing how you’re snapping so many interesting and on trend, yet completely unique people who haven’t been shot over and over on street sites. 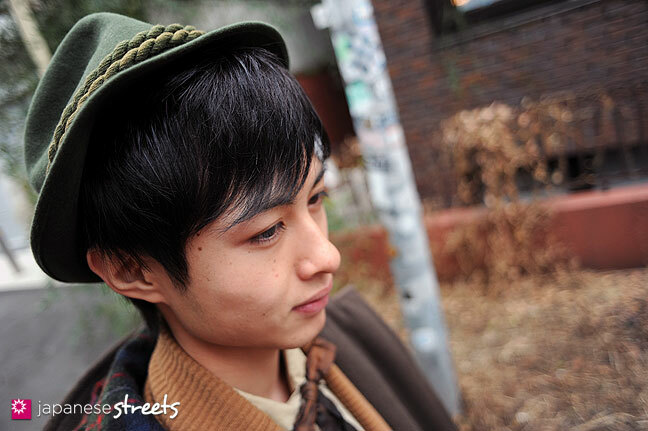 It shows that you both have an amazing eye and that Tokyo truly has interesting and diverse styles to offer. @Lactose Intoler-Art: Thanks, I am really glad to hear that. Especially as you are so well-informed. Makes me even more excited about my plan we recently talked about. 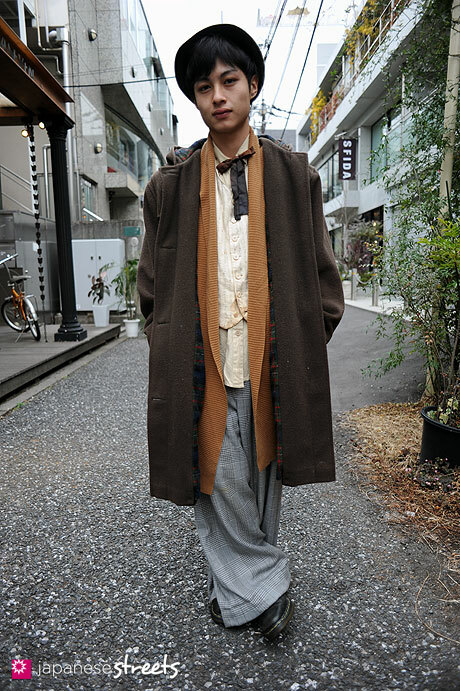 Awesome outfit, and Tatsuya’s absolutely gorgeous! @KD, indeed, when you see people usually you see their faces first, hence their hair. @KD I totally support what Lactose wrote, I follow LOTS of fashion japanese websites but yours is the one I never get bored of. Indeed I get super excited when I see a new set of shots in here. 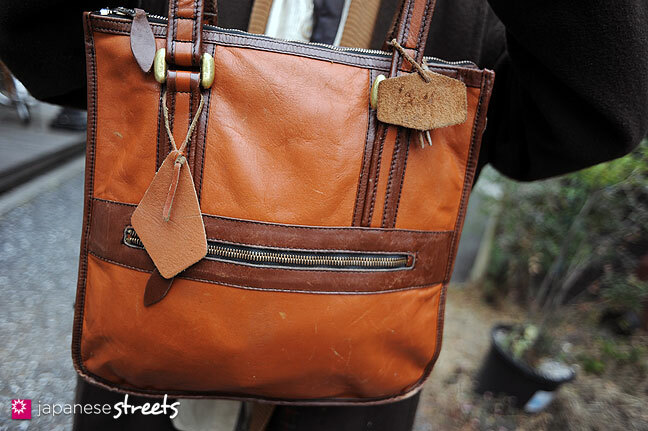 Love his style and the BAG! @Etsune: awesome! thanks for the link! Indeed he is so into the Euro old style. :3 Love it! 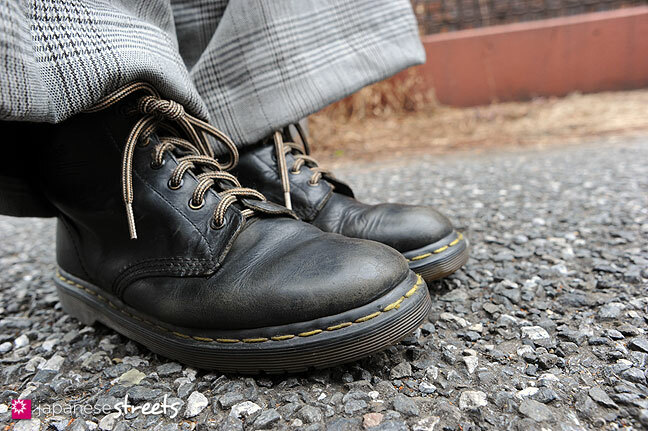 The style deserves praise but the sizing is un-proportional and out of context, leaving much to be desire….rating 5/10.